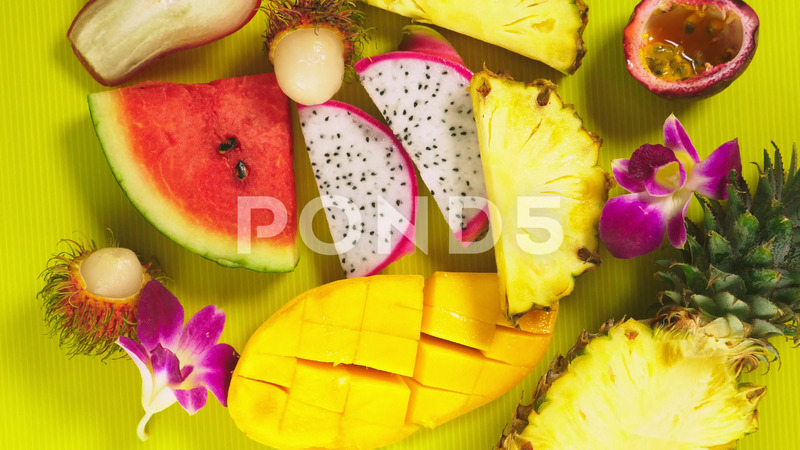 Description: tropical fruits on a bright yellow background. Minimal fruit concept. copy space.